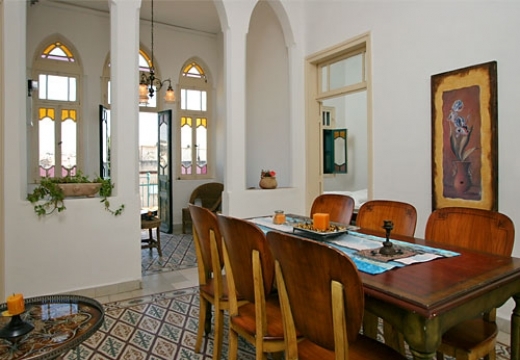 Al-Mutran is a 150-year-old Arab mansion turned guest house that offers private rooms in a unique old-world atmosphere. The Guest House was the mansion of the Kattouf family, famous for their quality jewelry and handmade gold, gemstone and diamond products. The wealth that their craftsmanship brought them allowed them to build a beautiful mansion, with stunning tiled floors, balconies overlooking the city, and elegant architecture. Today, it has been renovated to include modern luxuries like WiFi and A/C while keeping the home’s period flavor. 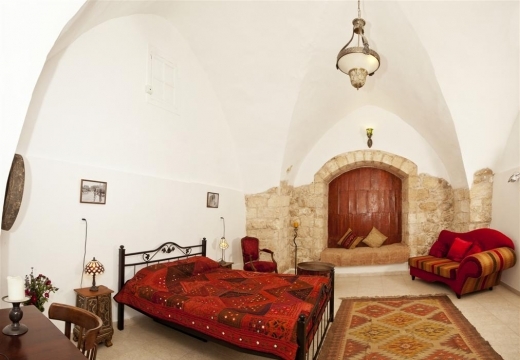 “Mutran” is the Arabic word for bishop, and the guest house is so named because it is located next to a mansion that is the home of the Greek Orthodox bishop of Nazareth.